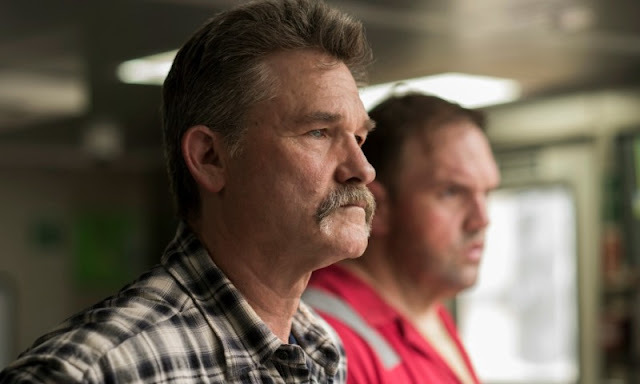 Deepwater Horizon is a film directed by Peter Berg and tells the true story of the offshore drilling rig which exploded during April 2010 and created the worst oil spill in U.S. history. The movie features acting performances by Mark Wahlberg, Kurt Russell, Gina Rodriguez, Kate Hudson, John Malkovich, J.D. Evermore, Dylan O'Brien, Joe Chrest, and James DuMont. I honestly didn't know much about this story other than remembering it being in the news a few years ago as a horrible environmental disaster. 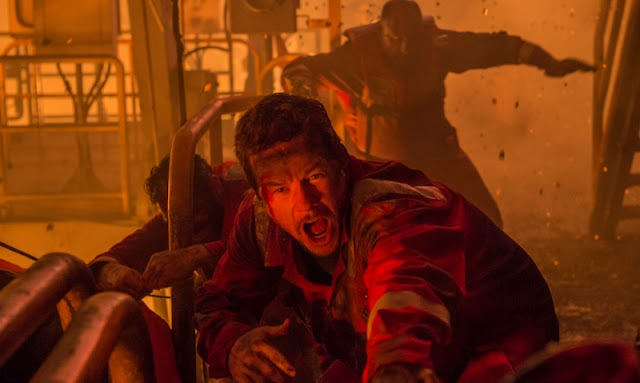 Peter Berg has been building quite the resume as a director including films like Friday Night Lights, Hancock, Battleship, and Lone Survivor although I would have to say that this film is his best work yet. The script is very well thought out, the editing and pacing are very clean, and the visuals are stunning to see on the big screen. What I liked most about Berg's direction is how, while this can be considered a big action movie, he never forgets the weight and tragedy of the story and makes sure the tone reflects that throughout. 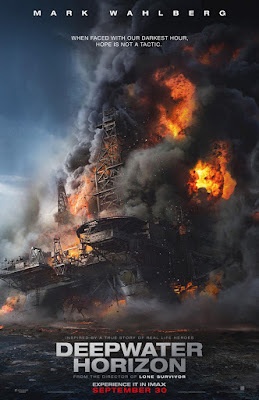 While Mark Wahlberg headlines a pretty impressive cast that includes great performances from both Kurt Russell and Gina Rodriguez,, it's really the drilling rig itself that is the star of the show. We all know what's coming and watching the sequence of events that lead to a disaster that could and should have been avoided creates all the drama you could ever want. Once things start going south, Berg draws you right into the middle of the destruction to where you can almost feel the heat closing in around you. Deepwater Horizon is an important reminder of how corporate greed can often bring about tragedy when left unchecked although we also get to see the heroism and bravery these types of events can bring out of otherwise ordinary people. While I did see the film at an IMAX theater, I would not recommend it as required viewing. IMAX cameras were not used for any portion of the film so you do not get the full IMAX frame experience. Instead, it was digitally converted which just formats the image and sound so it can be projected in IMAX theaters.